Life changing personal development book. Want to find out YOUR true life purpose? Non-religious spiritual interactive Q&A process reveals YOUR life purpose, in less than an hour. Includes career choices. What's Your True Life Purpose? Find your true Life Purpose - how and where you fit best in the universe and what to do with your life. Your destiny. Why you are here, why you are alive. Yes, life has a purpose. A higher purpose. Everyone has a life purpose. YOU have a life purpose, you just haven't uncovered it yet. Now you can. you to radically change into something you're not, or believe something you don't feel or know to be so. And the whole process takes less than an hour. What's my life purpose? My life purpose is: "To clarify, simplify and communicate wisdom and truth - in order to help people who are ready and willing to improve their life - NOW". That is my life purpose. And I have written more than 20 inspirational books to implement and support it. 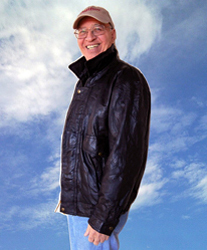 Helping people discover their life purpose has improved their life - and given my life meaning, real meaning. And, now, it's your turn to discover YOUR life purpose. Your life purpose should fit you perfectly. It should be exciting and inspiring. 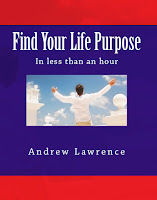 If it's not, or you have trouble finding your life purpose on your own or you just don't want to do it because it looks like a lot of work or a big headache to you - then by all means purchase my short, easy to understand interactive question & answer paperback book, "Find Your Life Purpose in less than an hour", a life changing book, available at amazon.com. note: sometimes a person's actual life or work history turns out to be completely at odds with their life purpose. It doesn't match. This clearly points out that the "right" person has been living the "wrong" life or working in the "wrong" field. Living a life that doesn't match who you really are. If by chance your life purpose and your actual life don't really match, then, using your life purpose as the starting point, you might want to start planning a new, more fitting and rewarding life ... career ... or both. A life match. OK, are you ready to find YOUR life purpose? All you need is my book. And less than an hour. Click on the book and get started. "Discover Your Life Purpose in less than an hour"
"Step It Up: The Quest For Success"
"How To Write Your Nonfiction Book"